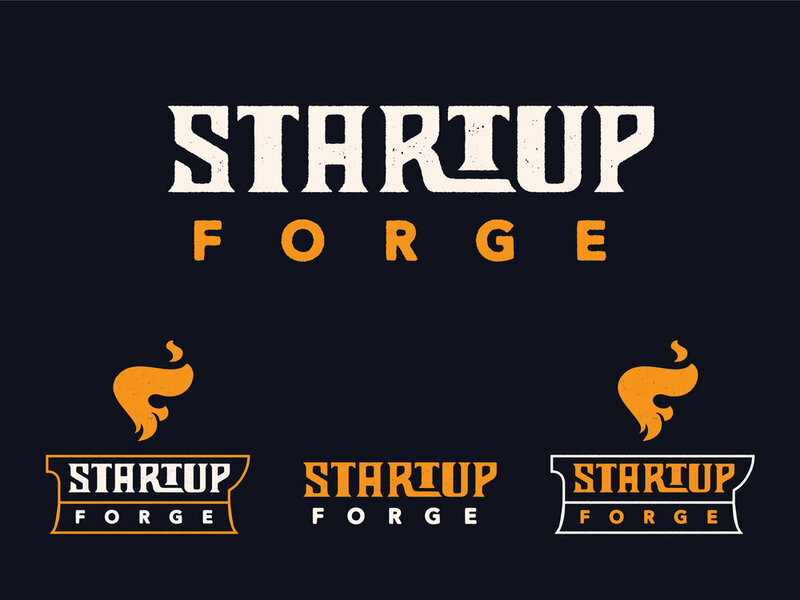 The Primary Logo displays Startup Forge’s hands-on approach to client relations with near magical results. The identity was built with flexibility in mind and can be utilized without text and even as simply the flame monogram. A custom wordmark was developed for the brand to be especially effective in horizontal formats and can be used with or without additional graphic elements. A drop cap “f” icon symbolizes the forward-thinking tempered vision that Startup Forge contributes. A monogram icon serves as an identity for very small placements and also functions as a hand-wrought pattern to break up visual space when necessary. Supporting badges and iconography not only highlight brand virtues and attributes, but also provide an easy area in which to further develop the brand’s visual vocabulary over time.